A small tico town with a great view! La Fortuna is the main entrance point to the Arenal region. La Fortuna is located 118 kilometers (73 miles) from the San José International Airport; driving time is approximately 3 hours, and 5 hours by local bus. Nature Air and Sansa Airlines offer daily flights to La Fortuna. La Fortuna is the name of a district and a small city located in San Carlos, in the province of Alajuela, Costa Rica. "La Fortuna" is Spanish for "The Fortune", and aptly named due its ample supply of tourist attractions and extremely fertile lands. The town got its name due to its sparing from the Arenal Volcano's eruptions. Organico Fortuna: an place to renew yourself with great fresh food! La Fortuna Suites is located 2 blocks away from all central park, where you can find a wide variety of local restaurants to eat. Many restaurants offer farm to table meals, vegan, vegetarian, fresh sea food, steak and much more! There are several locations around La Fortuna central park where you can enjoy some drinks, live music and weekly events. Several restaurants and bars now offer local beer from "Volcano Brewing Company". 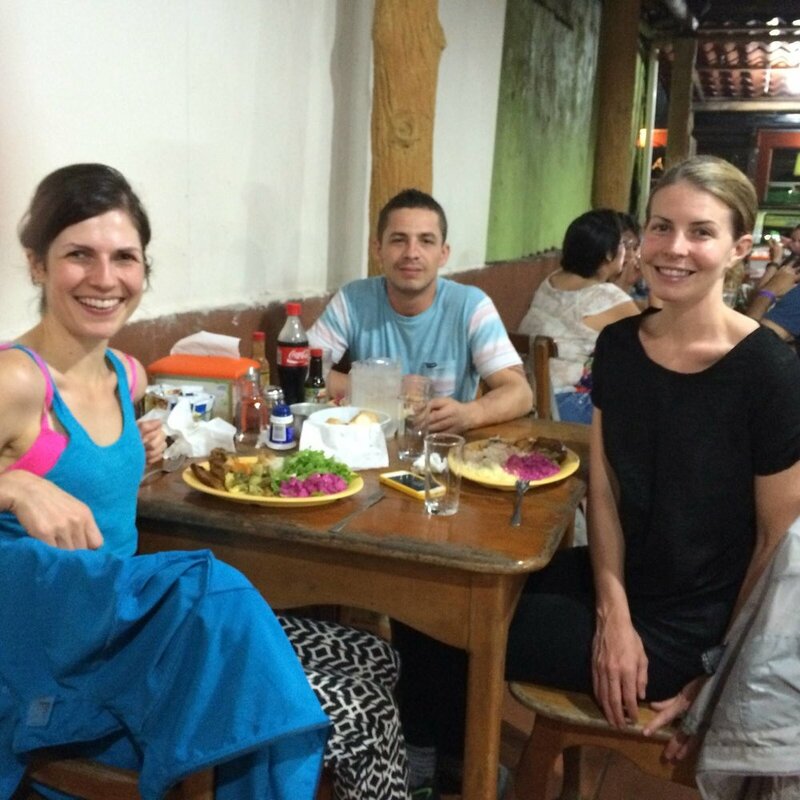 La Fortuna is a small town, but it offers all the necessary commodities located around the central park. Here you can find a Post Office, several Banks, supermarkets, medical clinics, gyms, restaurants, bars and shopping. La Fortuna offers a good variety of souvenirs shops, art galleries, clothes, and even natural health stores ("macrobiotic" stores). La Fortuna is a very safe town to walk around even around 10 pm, mainly where the main tourist attractions are, locals are very friendly and helpful.